When we’ve finished explaining how Enter Edem is not a cheese, we often like to explain that it is a play on ideas, of entering into a world, a beginning, an origin. The company organically grew from seeds of ideas into a community garden of a conceptual kind. We love to create a world for you to enter into, an experience to remember, a place where you can be part of and belong. And where did this seed from you ask? A vision combined with natural connections and a passion to create incredible art, also lots of biscuits, these really helped pull it all together. You maybe thinking what is it you do exactly? Well, we are makers, producing touring shows and experiences in many crafts, but we are dedicated in our delivery of commissions of all kinds too, bringing our obsession for detail and research to all projects no matter the scale, and ultimately we make memories for the families who find their way into Edem. Where do you do all this you ask? We have a creative crazy space in a magical little land smack in the middle of the UK known as Leicester, from here work creeps out to all sorts of spaces and places, indoor and outdoor, unlikely spots, we are not at all fussy or frightened by English weather. When do you make all this happen? We work all year round but are always happy to discuss future projects, plans and propositions, do drop us a line any time. And lastly, how do you do all this? Well, that involves some really good hats, of all kinds, and you may think the wearing of these many hats may not be ideal, but it turns out that it makes us very good at the details and on many levels… Good at knowing who we are working with, why we do what we do and that we take our professionalism very personally. Enter Edem are a collective of multi-skilled artists, who have joined together to create unique conceptual experiences. We tell human stories using philosophy, the fantastically abstract and lively, astonishing, visual theatrics. No ideas are untouchable or unobtainable as we use and manipulate the human canvas for expression. We look at life through a lens that makes our shared world captivating and thrilling. Our creative team passionately and obsessively craft through innovation, with specialist attention to detail, producing bespoke and touring work. Through our innovative approach combining entertainment with enlightening stories and ideas, we explore culture and imagination by using art liberally in all of its forms. The experiences and installations created are unconventional, thrilling and ultimately inspiring. We are not easily defined but our vision becomes clear when you ‘Enter Edem’. Our mission is to transform perspectives through collaborative production and the shared experience of theatre, media and art. We strive to promote a more creatively-geared and inclusive society through immersive storytelling that explores different cultures, mindsets and philosophical ideas. Championing education and participation in the arts through youth, community and cross-cultural engagement. As the maker of the hats and wearer of many, Emma’s innovative artistic eye oversees the substance and style of Enter Edem. As a maker and mixer of disciplines, her love and passion for accessible storytelling, education and community reflect in the company throughout, with Emma’s own practice seeping into the conceptual core. From top class intern to team core, a theatre making and marketing marvel, Charlotte is at the heart of what makes Enter Edem awesome, with skills a plenty and a love of myth and legends, she brings her fresh enthusiasm and imagination to every project with her beautifully crafted puppets. If you want a job doing, ask a teacher, and boy, does Hannah get the job done! 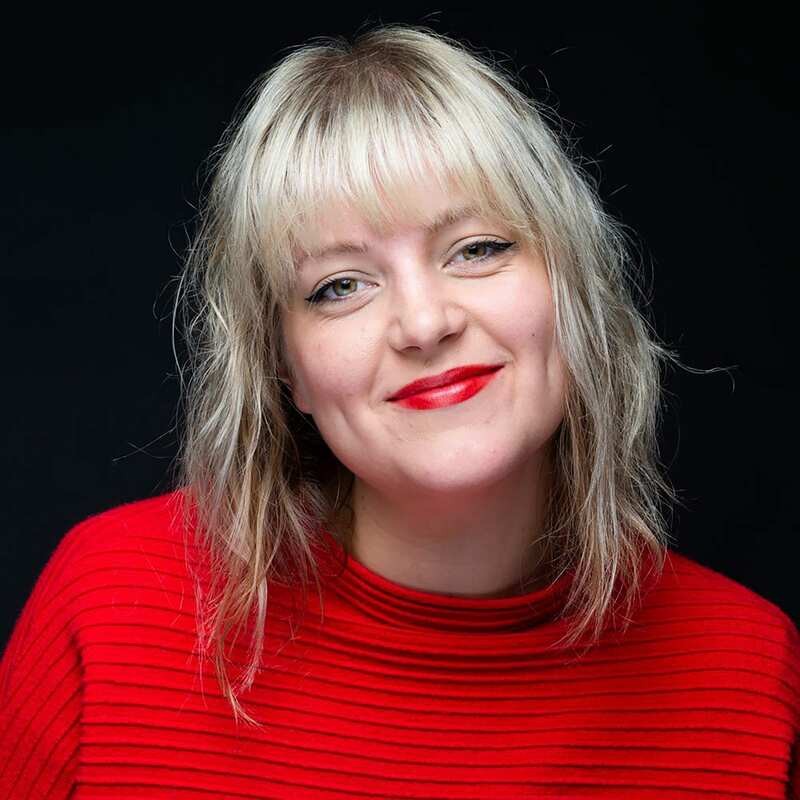 Enter Edems educational rigour is boosted by Hannah’s flare and fun, with fun-draising alongside she is a whirlwind from the North, as she locates herself in Manchester but is found at the roots of Enter Edem frolics and projects. Now for more of those freelance folks who bring the party! Our company and cast of artists who fill our events and shows full of wonder and smiling faces are in such great numbers that we aren’t able to mention them all, but here are some of the multi-skilled collective we just had to make special personalised party hats for their fabulousness… Introducing, the ‘Party Hats’ our incredible performers! The major epidemic spreader of smiley faces, ‘Charlie P’ has been with us from the beginning causing joy in it’s bucket loads. From cast to core team aid she is an incredible actress, multi-skilled wonder and all round loveliness.. Bringing calm and often couscous, Ludwik and his instruments can be found at many of our experiences, oh, you may also see him towering above on some stilts in a great big puppet… Yep, so many hats. 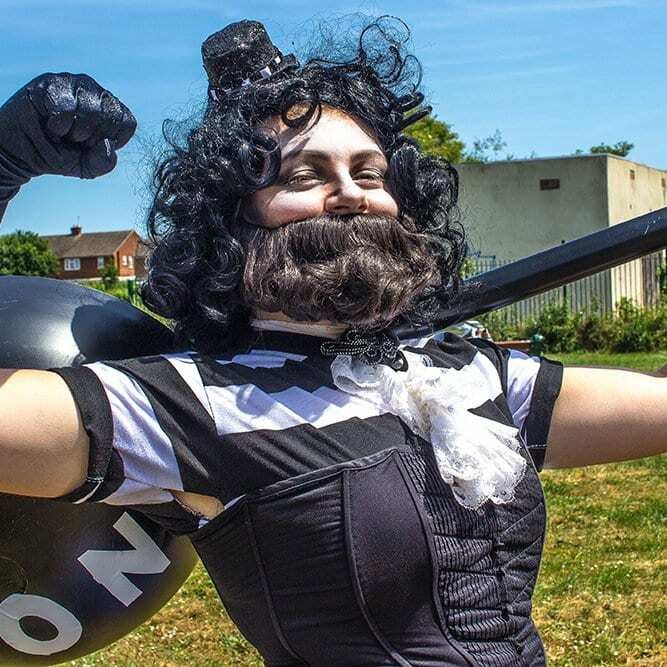 From experimental noises, to clowning silliness and stilts, Tim can be seen in all kinds of lycra based costumes (he really loves that) and making some wonderful inspiration art. This disgustingly talented ‘Poetman’ has all kinds of tricks up his sleeves, from magic, to music and circus skills, he has also become a dab hand with balloon modelling. Where do the skills end?? ‘Hibword’ brings the vibes and often her drum to tell ye a tale with poetry fun. An artistic avalanche of awesome, Jenny can be found clowning and creating happiness in the heaps. Paint brushes and yoga matts a plenty, ‘Unatty’ has so many skills under her belt from face painting to circus or a meditive story, you’ll find her at events and in shows wearing all kinds of party hats. 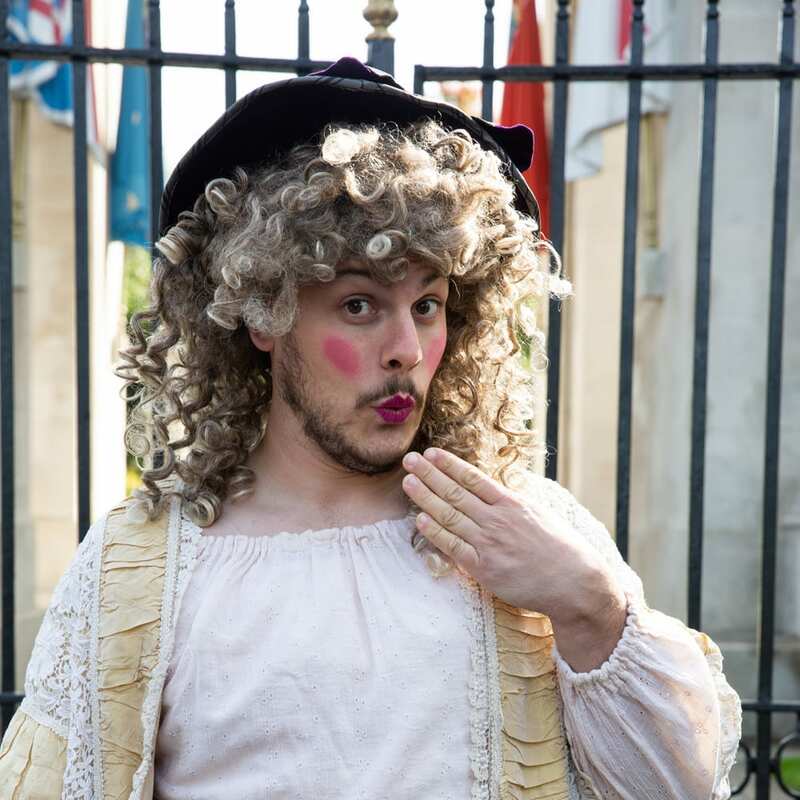 You’ll spot David at our Edem experiences and shows capturing the magic, while often joining in with the cast in adorning a character, as an arts photographer he has an eye for our vision and comes onboard with all kinds of shenanigans! Secretary whizz, Rachel is the one at the end of the email who occasional adorns a crafty party hat! From sewing machine, to laser cutter, to proof reading and feeding, you’ll find the mother and father to Edem busily creating in the workshop or joining the party at family fun events, if we were a cheese cake, they are truly the crumbly biscuit base. Foresty Fee is not only one of our incredible cast members but also a member of our Kindred committee, keeping us in check on all things environmental and bringing her Beanies along to join the merry crew, Fee is a magical fairy of Edem! Sneaking in scurvy sea dogs to where ever she goes Lorrine has been sailing the Edem oceans for many years. Not only is she a fantastic educational passion input for our Kindred committee but as the co-founder of Mix it arts academy, a crucial part of Enter Edems magic. Often found bringing her energy and excellence to all kinds of productions and family days, Lorrine is one of the party hats with piratey pizzazz! Where do we start with Tom, philanthropist, business man extraordinaire and secretly Santa, Tom has backed and supported so many of our projects through The New Factory, with our team heading out to his Childfirst nurseries across the UK and jetting us off for some International Play in Iceland. Tom is literally a star (we got one named after him) and we cannot thank him enough for his ongoing Edem love. This incredibly skilled father and son are the woodsmen of Edem. Creating our props and sets with their carpentry magic, donating all kinds of treasure to our trove and occasionally joining us for a costumed bit of craziness, we wouldn’t be the same without these hard hats – the Heads! Partners of Edem, making the many hats possible! 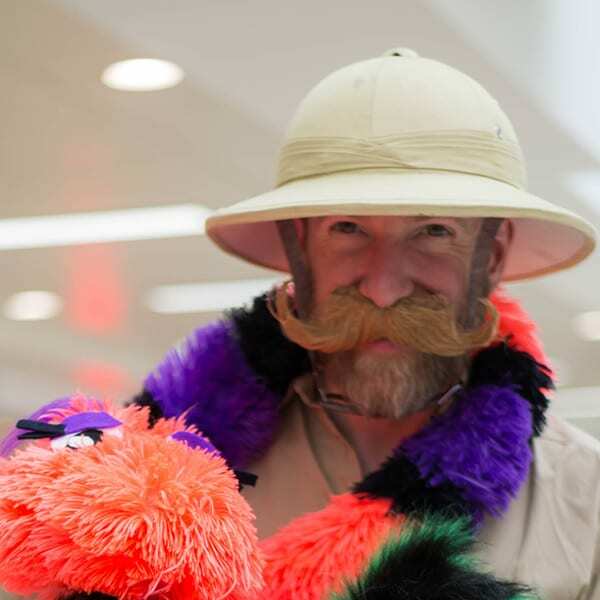 We have been so incredibly fortunate to work with the fantastic Heritage Council team, with a special mention to Brian Stafford ‘The Stetson Hat’, as there will be no tumbleweed blowing with this quick draw bringing free family fun to Leicester Parks! As an associate artist company at Attenborough Arts Centre we have received such incredible support and so many opportunities, the main culprit in our love for this fantastic place is down to John Kirby ‘The Luchador’, who has been particularly wonderful in the growth and development of Edem Edem shows and experiences, big love for this wrestling super star! 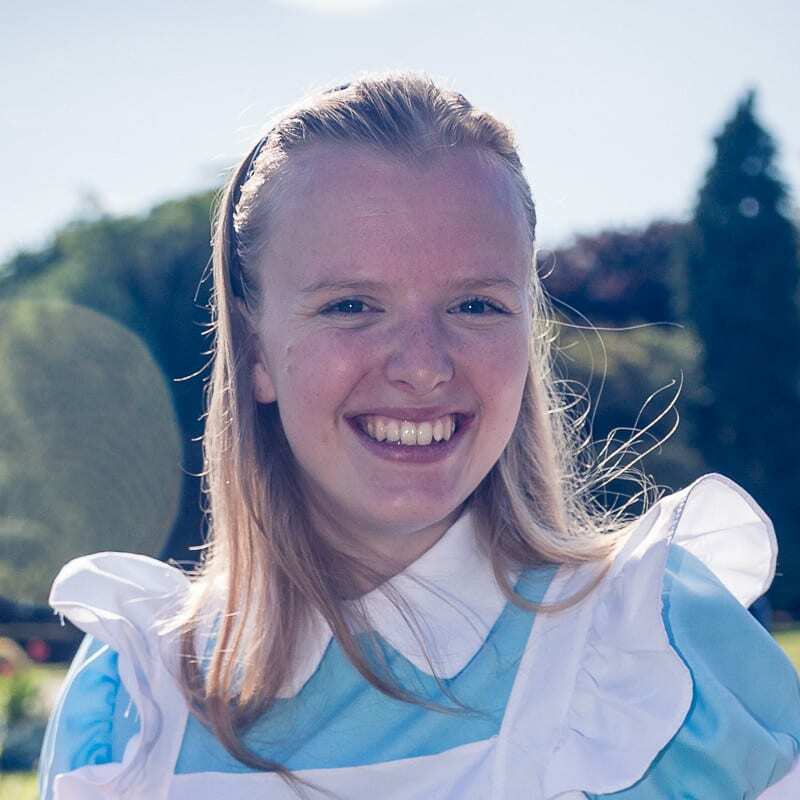 Bringing all kinds of magic to Beaumanor Hall, there is such love for Zoe Hill ‘The Trapper Hat’, making family events happen in the County Council site of splendour, Zoe’s outdoor play ethos mirrors our own and she throws in company development support to boot. We have been supported as a breakthrough company at Curve for many a moon, with favourite moments from Cbeebies, Twits and Diwali joys to Sheepy soup skill shares, show scratches and Inside Out festival fun! Keeping us well informed and connected, Lesley Vann and Tony Modinos add their abundant knowledge and contribution in community festivals and events to the Kindred mix. From previous roles in the background of Enter Edem, Ffion Quick remains a part of the vision of the company and skypes in to guide and keep us up to date with the latest arts and marketing updates.